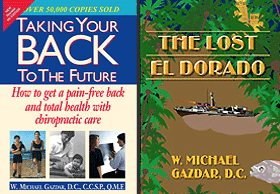 In this book, Dr. Michael Gazdar, a chiropractor, will share with you ways you can have abundant health. He will make it easy for you to understand how chiropractic care can give you more health and happiness than you ever imagined. 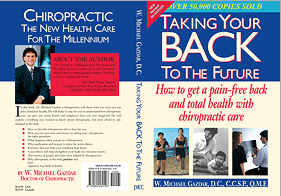 He will explain everything you wanted to know about chiropractic, but were afraid to ask. Is it myth or fact? The famous El Dorado, hidden in the steamy Amazon jungles of Colombia, has never been found. Many have given their lives trying to find this “City of Gold.” A well-respected archeologist from the University of California, Berkeley, has obtained classified government satellite images of the river basin where old treasure maps indicate where the lost city may lie. The IR sat maps show waterways where none were thought to exist. His life’s work has been to find the treasure and discover the ancient archaeological mysteries of the region. He is willing to bet his life and his reputation on this final expedition. 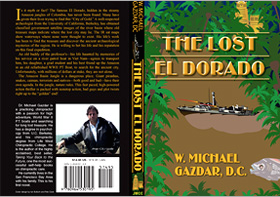 Dr. Michael Gazdar’s first novel is written with a passion for high adventure, World War II P.T. boats and searching for long lost treasure. A set – Buy both. Save more. All shipping prices are for within the continental United States only.